← Did Women Work in Agriculture? It has been a busy couple of months on the project, and a crucial period in the development of our project team, database and methodology. This post is intended to provide a brief update on what has been happening, and to signpost a few items of interest for followers of the project and the blog. The end of May saw Jane and Mark pay a visit to the University of Uppsala in Sweden, for a very productive meeting with the team behind the pioneering Gender and Work Project. It was fascinating to hear about their results for early modern Sweden – especially relating to women’s prominent involvement in ‘managerial work’ and work relating to ‘administration and justice’, as well as the prevalence of ‘trade’ as the largest category of observations of women’s work activities. An English-language multi-authored monograph showcasing these results is in preparation. We are very fortunate to be able to learn from another project focused on a ‘verb-oriented’ approach to early modern work, and our visit provided us with plenty of food for thought – although in some important ways we have decided to adopt different criteria to the Uppsala project, both for our definition of work, and in our focus on specific tasks to the exclusion of other ways of making a living, such as owning property. Nonetheless, we hope to be able to make valuable comparisons between our results and those of the Gender and Work Project. 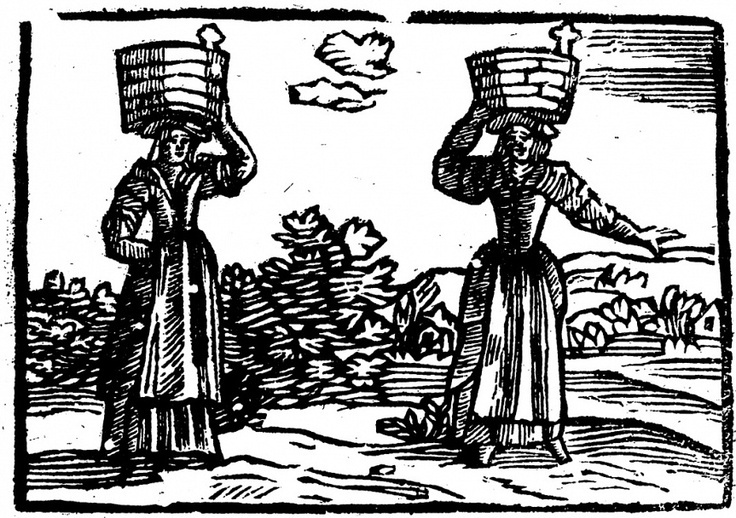 In fact, you can read more about our current thinking on these issues in a recent blog post written for the Gender and Work in Early Modern Europe blog. That might sound fairly straightforward, but it is surprisingly complicated to apply this criteria in a lot of the cases we are working with: we will be blogging again soon with some examples, and with more detail on how and why we are applying this criteria. In between these important developmental meetings, we also held the interviews for our PhD studentship. We had a very strong field of applicants, and were delighted to be able to offer the position to Imogene Dudley, who has a first degree from Swansea and a Master’s degree from Oxford. Imogene will join the team officially in September, to start working on the evidence of women’s work in household accounts. Finally, followers of the project might be interested to read a couple of recent blog posts that very much speak to the themes we are interested in. This interview with Leigh Shaw-Taylor, from the University of Cambridge, who runs the project ‘The Occupational Structure of Britain, 1379–1911’ – the results of which emphasise the importance of the sixteenth and seventeenth centuries in England’s economic development, and stress the need for more research into women’s work in this period. And this wonderful post by the journalist Sarah Ditum, on our society’s failure to count women’s work as work. So, keep an eye out for that upcoming post about our methodology, and for anyone who is going to Rural History 2015 in Girona, we will be giving the first conference paper to come out of the project, including some very preliminary results.